Our National Skill Mission under the leadership of Ministry of Skill Development and Entrepreneurship (MSDE) empowers the youth of the country to become more employable so that they can significantly contribute towards the formation of new India. Different sector skill councils are highly committed towards developing world-class skilled manpower for their sectors. Each council has a comprehensive list of job roles that create a unique employment opportunity for a candidate in the organisation. One such job role is tower technician, one of the 39 jobs in the Telecom industry, which has a huge demand. As per the study of skilling requirement in this sector, there is approximately 3,56,332 job demand for the next five years. The training partners like Telecom Sector Skill Council (TSSC), play a vital role in the enrollment of candidates to respective job roles and enable them to make the decision. 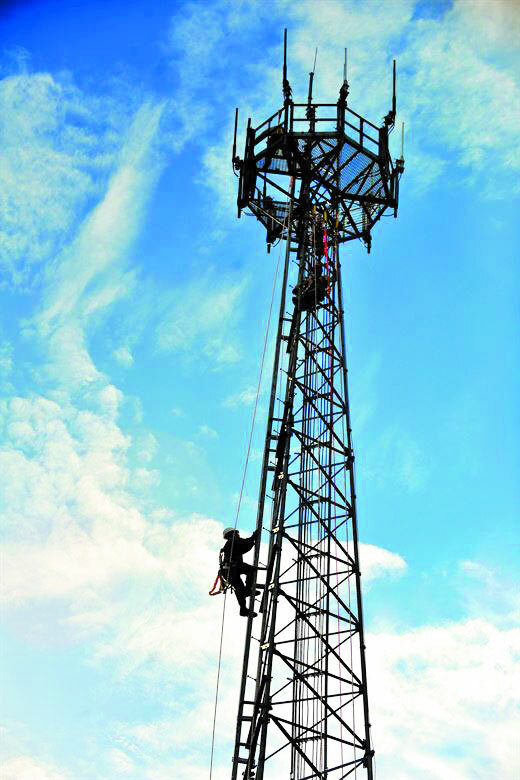 Tower technicians are also known as site engineers, tower engineers and or site technicians in the telecom industry. Their job involves maintaining and repairing level-1 faults at telecom tower site, preventive and corrective maintenance and report faults to the supervisor in time. The technician is responsible for all that and also need to travel inter-state and work during odd hours, when required. The individual should be technically qualified, self-disciplined, confident, team player, action-oriented and must possess analytical skills and problem-solving ability. He must also have good communication skills and the ability to work under pressure. The minimum educational qualification required for this job role is 10+2 and/or Industrial Training Institute (ITI) diploma in electrical / mechanical and maximum qualification is graduate. Moreover, the minimum age required for tower technician is 18 years and 0-three years of experience is desired for it. If candidates want to make a career as a tower technician, they can enroll themself for training at BSNL Centres through Telecom Sector Skill Council (TSSC) who have many training partners across India. The duration of this course is 300 hours and it is available free of charge through Pradhan Mantri Kaushal Vikas Yojna (PMKVY). The National Occupational Standards (NOS) are applicable both in the Indian as well as global contexts. It states the standards of performance a candidate must attain when performing any role in the organisation. An individual must have knowledge and understanding of the job role which is required to meet that standard consistently. Site hygiene: This occupational standard unit is about maintaining the site hygiene of AC, DG, Power Interface Unit (PIU), Switched Mode Power Supplies (SMPS) and battery bank, as per the organisation’s norms. The candidate must know the basic use of mechanical equipment, the layout of the tower site, general aspects of electrical wiring and safety requirements at the site. Preventive maintenance: The individual conducts regular preventive maintenance activities at the tower site under this operating system (OS) unit. The candidate on the job must stick to preventive maintenance (PM) plan, conduct site PM, keep a check on site up-time, execute unique site down PM and provide timely resolutions to trouble tickets raised. The candidate needs to understand how to diagnose the reasons for downtime through up-time analysis. Also, he must know how to conduct fault analysis to identify and repair recurring faults on site. Site management: Under this OS unit, an individual has to perform operational activities at the tower site like submission of the electricity bill, alarm check and others. Few of the performance criteria for this unit include monitor reading as per the Electricity Bill (EB) against reading on power interface unit, timely collect and submit the EB at the office, check a number of alarms active at the site and interact with site owners with respect to rent and access issues. In an organisational context, the candidate needs to know and understand EB collection and payment process. Task reporting: It’s about reporting and record-keeping as per company’s processes and defined Service Level Agreement (SLAs). The candidate must be able to escalate faults to a supervisor at the site, fill the preventive and corrective maintenance checklists, accurately report diesel filling, EB and DG reading. He/she must have a great knowledge and understanding about the preventive maintenance and corrective norms as per the company as well as the company’s repair and maintenance guidelines. The candidate must also have a good communication, analytical, planning and execution skills. Corrective maintenance: From the timely identification of the need for corrective maintenance to stick to maintenance plan, the candidate must be able to fill the corrective maintenance reports and solve a maximum number of issues reported. He/she must have a deep functional knowledge of all equipment and system components as well as a great understanding of PM and corrective maintenance norms, site up-time targets and repair guidelines of the company. If you are looking forward to building your career as a tower technician in the telecom industry, you must adhere to the basic fundamentals required for this job role. Due to the huge demand of tower technician in the market in the next coming years, TSSC strives to facilitate quality certifications in their respective job roles to meet the needs of the industry.